Better late than never to the party, hi everyone. Last Saturday I discovered a Scarlet Tiger feasting on the underside of one of my Buddleia flowers. 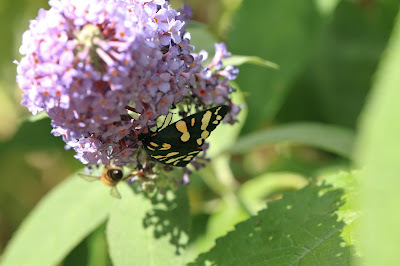 This was the first I have ever recorded in my garden or my surrounding local patch, rather pleased. 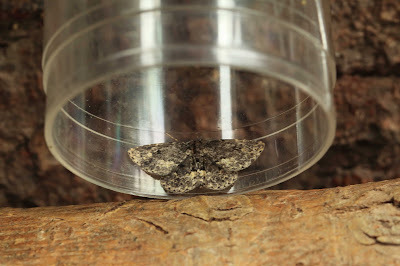 In the trap this morning (MV ) I had 75 moths of 23 species. 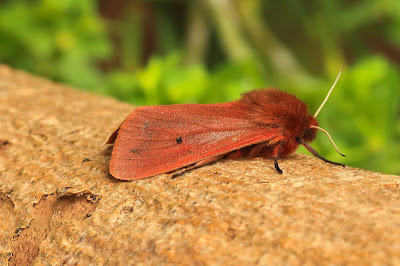 Quality was high though with my first ever Ruby Tiger, a species I was really keen to record. 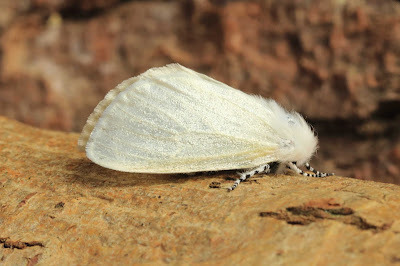 The second macro lifer out the trap was White Satin. In August 2013 I recorded Waved Black, and the second record was lurking this morning. On the Micro front, I recorded Lozotaeniodes formosana, like many micros, previously unknown to me. Unfortunately it legged it this afternoon as I tried to snap it and is currently at large in the house somewhere, a pretty moth though. Welcome to the blog Mark.